The short stories in this book are connected to significant moments in the lives of a group of people who feature in Wendy Janes’ novel What Jennifer Knows. There is no need to have read the novel first but it certainly gave an added dimension to me. The first story, Beauty, describes the paramount need for beauty to surround Rollo, an Art Gallery owner. When he parts company with one of his exhibitors, the “empty plinths,” are reduced, “to totem poles with no message,” so it is essential that he finds beauty elsewhere. Never-Ending Day struck a chord with me as it reminded me so well of those awful first weeks, as a new mother, when you realise that you know nothing about babies and that you are making a terrible mess of trying to care for this one. Similarly, Perfect Family made me aware of the contrast between my home life as an only child and that of lively families with several siblings which seemed to have such fun together. What Tim Knows contrasts completely with What Jennifer Knows. Jennifer knew too much, but Tim knows too little, or at least his comprehension of the world is very different to that of the people who surround him. Having taught children on the autistic spectrum, I have been caught out by my inability to state exactly what is a fact and am aware that there are no greys for many. I love the way this story puts us inside Tim’s head and shows us what an inexplicable world we live in! A refreshing look at life through a wide variety of characters. Thanks for this great review, Liz. Yes, indeed, it often feels like we live in an inexplicable world. I guess that’s one of the reasons we love to read and write – to try and make sense of things! A wonderful review. I am reading What Tim Knows now and loving it. How could I have missed your lovely comment, Michelle? I’m thrilled you’re loving What Tim Knows! I will post a review as time permits. Life is crazy. We sold our house this week, the new house will be finished in mid-November, and we are downsizing from nearly 5000 sq. ft. to 1700 sq. ft – a huge project. Hugs. I loved this book. 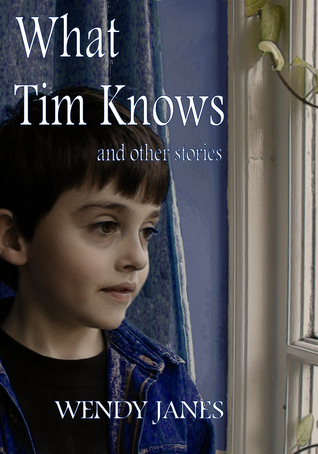 The stories are fresh and sometimes poignant, especially the title story, What Tim Knows. They are beautifully written by an author who understands the importance of allowing the reader ‘in’. Thanks for your lovely words here, and for all the support and encouragement you always give me with my writing, Christine. Totally my pleasure, Wendy. I believe in supporting good writing.